Steven Pergolizzi, one of the most successful business leaders in the professional recruitment services industry, hopes his own story will embolden you to: develop the techniques and traits exhibited by successful entrepreneurs; avoid the pitfalls and behaviors of aspiring entrepreneurs who have failed; become an effective planner, negotiator, and influencer; start, operate, and sell successful businesses; and invest to accumulate and preserve wealth. This book contains invaluable information that every aspiring entrepreneur, existing business owner, or business leader should know in order to be successful. The lessons offered will also benefit the ambitious student or parent seeking to support an entrepreneurial child. 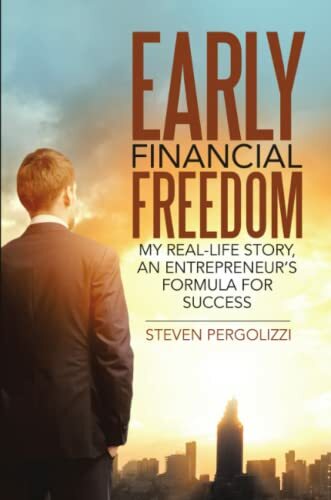 Pergolizzi highlights how hard work, careful planning, prudent decision-making, and smart investing can translate into financial freedom at an early age.